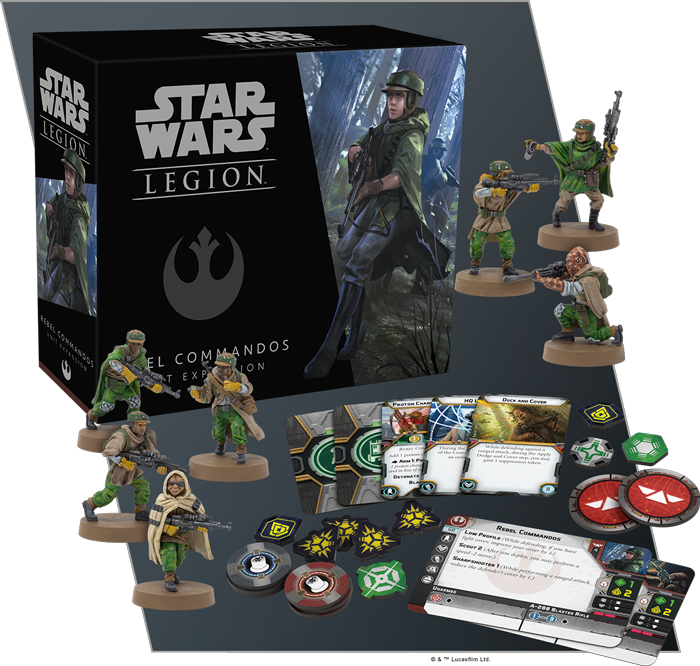 Now that the Rebel Commandos have arrived in Legion, you may be wondering how to best use these new versatile Special Forces units, especially since this is the first expansion pack to offer two units for the price of one! Lets break down the ways you can run them and which ways work best. These are what make this unit shine. The DH-447 Sniper has unlimited range, pierce 1, and two dice ( albeit one of them is white). It also has High Velocity, which if it’s the only weapon in the attack pool, the defender can’t spend dodge tokens. It’s VERY likely to do damage, but only a little. The Proton Charge Saboteur is the answer to swarm lists. 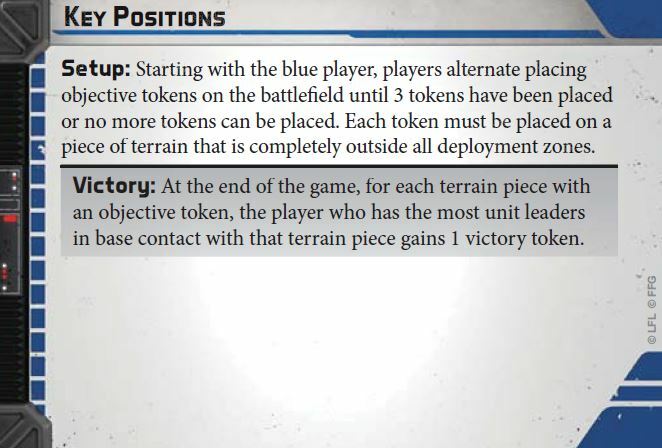 Now finally, your opponent may have to think twice about grouping up 6 units of Corps close together! This unit can Arm a proton charge as an action, which places a charge within range. When detonated, these charges will make a ranged attack against EVERY unit at range 1 of it, one at a time. This is tremendous for multiple reasons, which include damaging groups of enemies, dealing out loads of suppression, and even hurting vehicles! The attack itself , which consists of one red die and two white, has Blast, Impact 1, and it’s own special Surge to Crit! 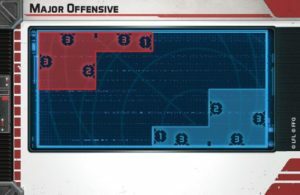 Each Saboteur has Detonate : 1, which allows them to trigger ONE charge to detonate after ANY unit takes an action. This means, you can drop a mine, move out, and trigger your charge after you move. This also means you can run in, drop a charge, and immediately blow it, potentially hurting yourself! It could be dangerous doing the latter, but if that means you can hit 3 enemy units? It just might be worth it! 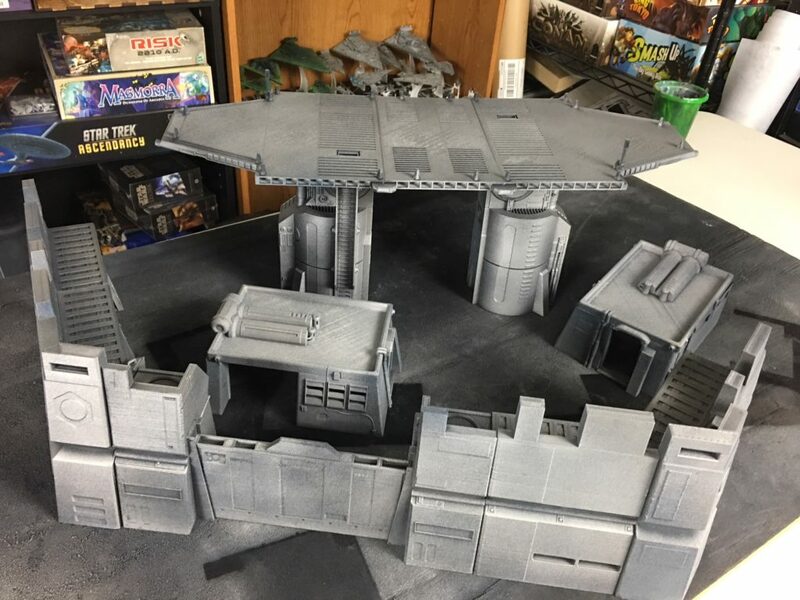 One of the first thing’s you’re going to notice, is the lack of a personnel upgrade, which means you aren’t going to be able to outfit this unit with six miniatures, so five will be your limit if you use a Heavy Weapons miniature. In addition, we get Comms, Gear, Grenades, and a new upgrade called Training, which isn’t half bad considering that we get Duck and Cover with this wave. As far as the rest of the stats, they are largely similar to the typical Rebel Troopers, with a few key upgrades (which help, considering they cost an extra 20 points). So what do we gain for those extra 20 points? First off, these Commandos have both offensive and defensive surge, which is pretty nice to start. Additionally they have a courage value of 2, which helps them still get two actions even when they have a suppression token. It also makes them a decent commander if your commander should die. Their keywords however are especially helpful. Low Profile means you may seriously want to consider always running Duck and Cover. Scout 2 is incredible for early game positioning and objective play. Sharpshooter 1 is just all around good, though generally it lends itself to doubling up fire on a unit that’s already been shot and now has suppression, snipers, or both. The Commandos are an all around solid unit – but you may not want to run them without a heavy weapons upgrade. 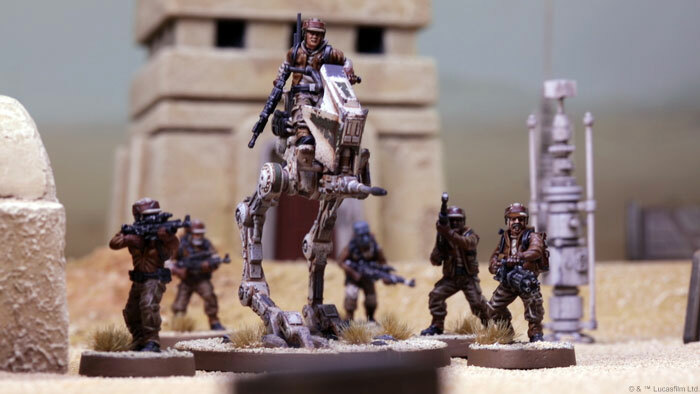 Running them with only 4 miniatures can work if you’re looking for some quality trooper units for your build, but generally you’ll probably want to run some heavy weapons units. Before we talk Builds, let’s look at the Strike Team. 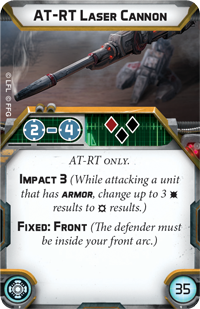 The Strike Team is almost identical to the standard Rebel Commandos card, with three key differences. First, the cost, which is only a mere 16 points! Second, the miniature count is only 1. Lastly, the keyword “Heavy Weapon Team”, which forces you to take a heavy weapons upgrade, which then becomes the unit leader. The Strike Team is an ideal way to inflate your unit count, considering that a Strike Team can be as cheap as 42 or 44 points, depending on which Heavy Weapons option you select. 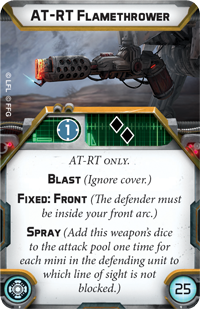 For players who want to push the limits of units in a list for things like activation advantage, the Strike Team will prove an effective way to pad your activations, while also giving you some excellent tricks. For starters, I will suggest using the Sniper in a Strike Team, and the Saboteur with a full unit. 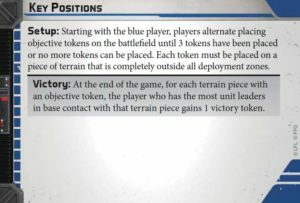 This way you can have two distinct Special Forces units in the same list, with only a single expansion box. Other options certainly work, but not everyone will want to buy 3 boxes of commandos to try every permutation. Snipers work VERY well with a Strike Team. Having only 2 miniatures, gives them easier access to be deployed on smaller, narrow ledges. Additionally, camping a sniper in the corner of a map, often means the rest of the commandos are NOT firing their weapons. A Strike Team minimizes this by having only one miniature sitting around doing nothing. Snipers don’t work as well in the full Commando Unit, because that generally tends to mean that you bring them into the battlefield, putting them within range 3 of enemy units, which someone diminishes their value a bit. However, it does allow you to more easily split fire, dealing out suppression, or combining the sniper’s weapon to give your larger attack Pierce 1. One other option is also to simply be a strong Counter-Sniper unit. A Five-Person sniper unit is much less likely to die from opposing sniper fire. The Saboteurs work a little better in a full unit, as they are more likely to want to get down into the middle of the battlefield and mine the heck out of it. Having additional miniatures also means that the saboteur has a longer lifespan, and thus, can survive longer. Don’t forget, your Saboteurs need to be alive in order to trigger “Detonate”. When your last saboteur dies, the rest of your charges can no longer be triggered. The Saboteurs CAN also work well as a Strike Team, but this is one of those cases where I would advise to run more than just one. Strike Teams are cheaper, and that means more Saboteurs, and thus, more charges placed all over the battlefield. 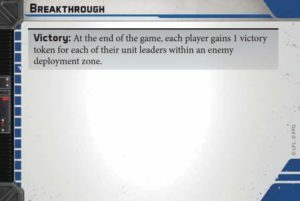 You could in theory place a maximum of 18 charges in a single game with three Saboteurs, and although that certainly won’t always be the case… being able to place several near key objectives is amazing. The other advantage of having multiple saboteurs is that you’ll have multiple instances of Detonate. It’s partially about redundancy, in that losing one saboteur will still allow you to trigger charges, but it’s also about having the ability to trigger more than one at a time. Blowing 3 charges when an AT-ST steps too close, and taking it from 6 health to dead in a single move… is really satisfying! These Heavy Weapon units really help make the Commandos Shine – so weather you’re trying to snipe, mine, or simply use the commando’s regular weapon to actually shoot enemies within range 3 – it’s gonna be a great time! 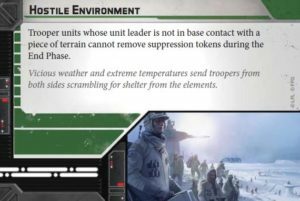 Imperial Scouts will likely behave in a very similar fashion in terms of teams and pairings. Once those come in both sides will finally have Special Forces! And if you prefer video – here you go! The Grand Admiral has arrived. And he brought some really cool minis with him! 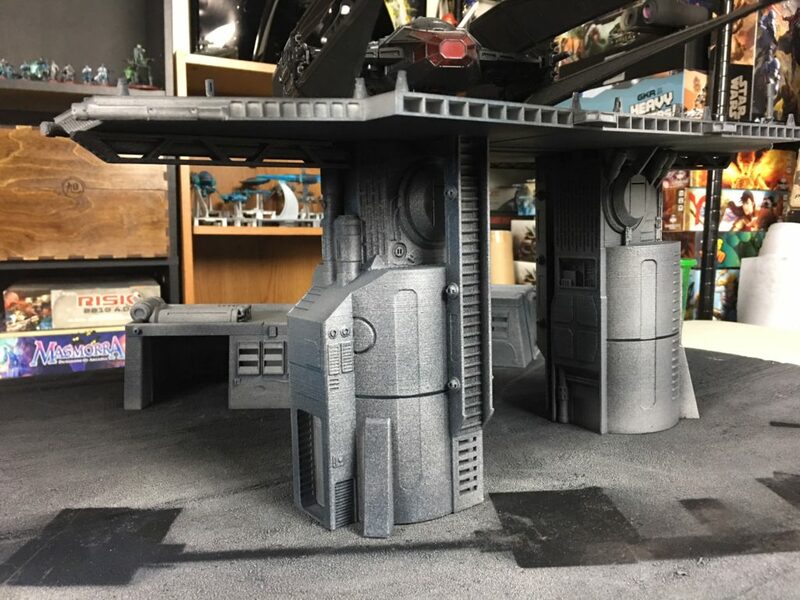 Imperial Assault just got a new announcement! 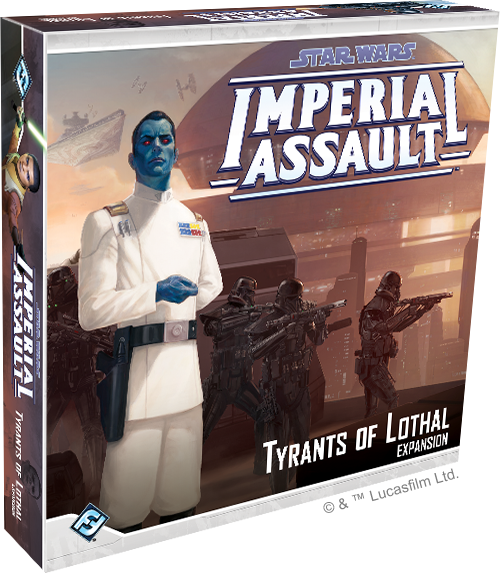 It seems Thrawn, and the remaining heroes from Star Wars Rebels are making their way to Imperial Assault with this next expansion! 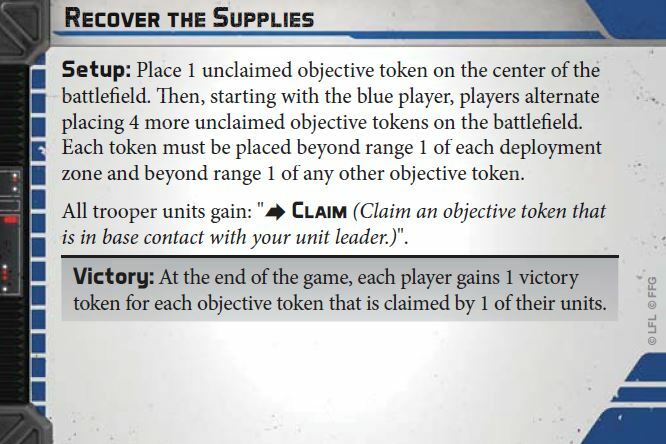 This is great news for fans of Imperial Assault, especially those who feared the game was “”dead”, but this is also potentially good news for Legion players looking to spice up their game a bit. 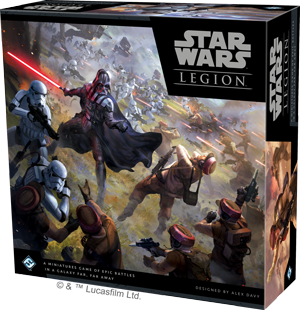 As with most other Imperial Assault expansions, this one comes with it’s own wave of blister boxes in addition to the Tyrants of Lothal small box. This wave is going to be loaded up with more principle character than almost any wave we’ve seen so far! We’ve already seen a glimpse into the possibility of them making a Rebels wave, since they released The Inquisitor, Ahsoka, Hera, and Chopper last year, but now we are going to fully complete the crew of the Ghost (or very close to it). With the inclusion of virtually every main character from the show, it begs the question of whether of not FFG is simply trying to tie up loose ends, and wrap up this game permanently. 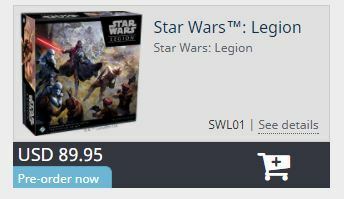 The release of Legion, in a very similar scale has seemed to be a total replacement for Imperial Assault, allowing battles in a larger scale, with better miniatures, on better terrain. And the best part is that you don’t have to assemble a new map out of dozens of puzzle pieces every time! Not everyone was included however. Some characters simply didn’t make the cut. Noteworthy absences include Ruhk, Governor Pryce, Kallus, Ryder Azadi, and the short time crew member, AP-5. 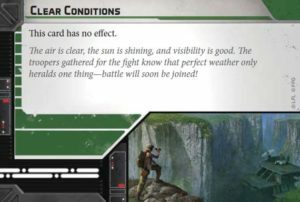 If they do eventually keep Imperial Assault going, there are certainly more characters available that would fit naturally. Don’t forget about the increasing popularity of Dr. Aphra, and the fact that IA already has her two droid friends from the comics. There are still a few minor loose ends. What does this mean for Legion? There’s also everyone else! If you’ve longed to use the entire Ghost crew on your tabletop, you now have your chance. 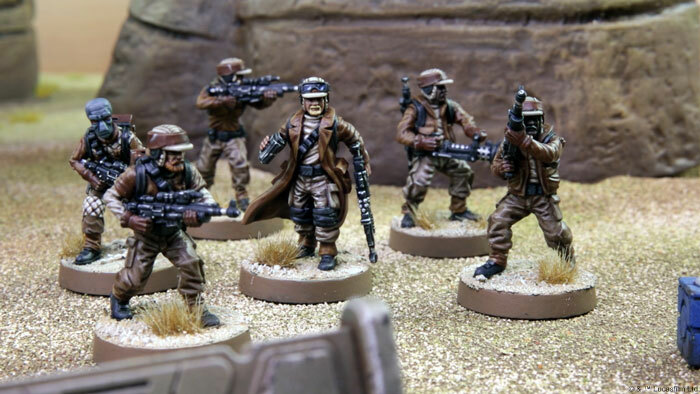 Weather you want to paint them and proxy them all as a Rebel Trooper unit, or swap them out for unit leaders, you will soon have that option. You can use them as-is, or perhaps you’ll want to re-base them, but cutting them off at the feet and gluing them to Legion bases. Personally, I’d sign Zeb up to be my Z-6 Trooper, because I think he’d love that huge gun! The same goes for Thrawn – Using him in place of a Stormtrooper leader, or even swapping him out when using General Veers, it gives you some additional customization options for anyone who has been eager for Thrawn, Deathtroopers, and the crew of the Ghost! 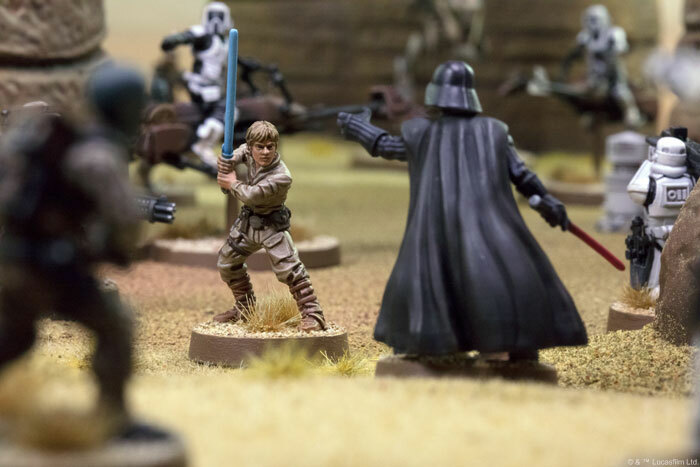 Keep in mind however, making modifications like swapping minis in from other games, wouldn’t be legal in any Organized Play scenarios – so if you want to play in a tournament you’ll need to use the correct miniatures. 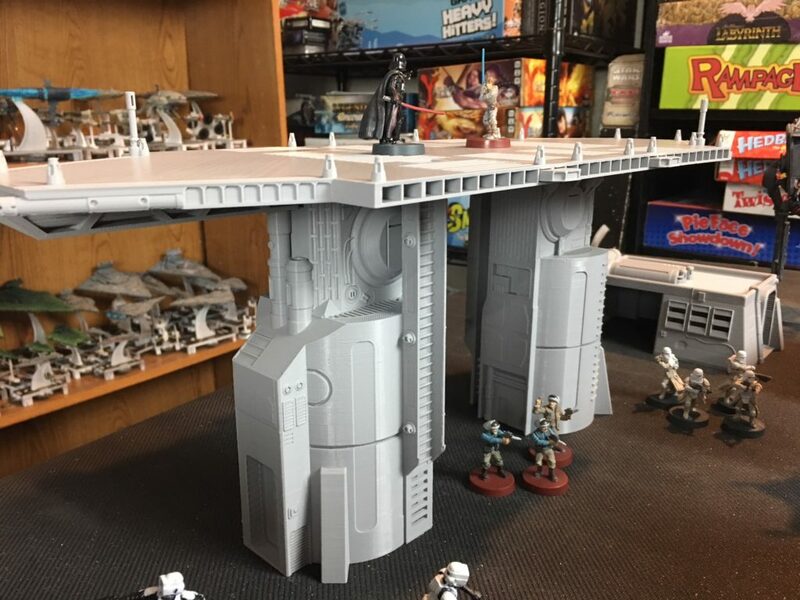 But for other times, this could be a great way to spice up your game! Just be sure and make sure your opponent is OK with you proxying models. 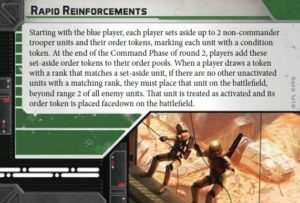 The AT-RT is one of those units that can go from very cheap to very expensive with just a single upgrade. The price of hard-points tend to be significant, and units that have the ability to take them, often very much want to do exactly that. But at what point should you leave that slot empty? 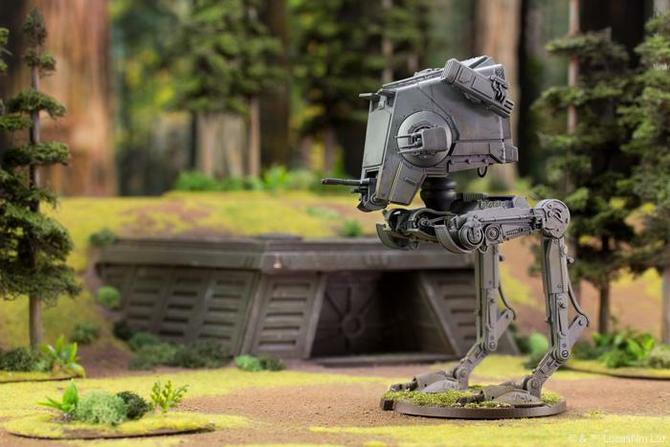 At only 55 points the AT-RT is the second cheapest unit available for the rebels at launch. But it’s price dramatically increases as you add hardpoints. In fact, you can bring it up to 100 points with enough upgrades – which is almost double the starting price. This may be a bridge too far for many lists, in which you’ll want extra activations more than simply extra upgrades. It may be easier to pass on Let’s take a look at each hardpoint available. The AT-RT Rotary Blaster comes in at 30 points, and is the most general purposed hardpoint available. Like all of the weapons that you can add, it has Fixed: Front, restricting it’s fire to the frontal 90 degrees only. 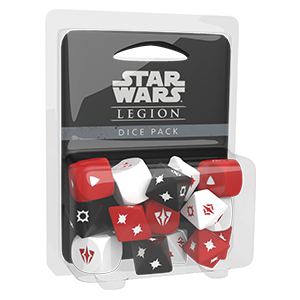 It does however, offer five black dice, which paired with the AT-RT’s offensive surge to crit, can do some great damage to enemy targets. It doesn’t have any additional keywords however. The AT-RT Laser Cannon is the most expensive and has the longest range of the AT-RT’s weapons. 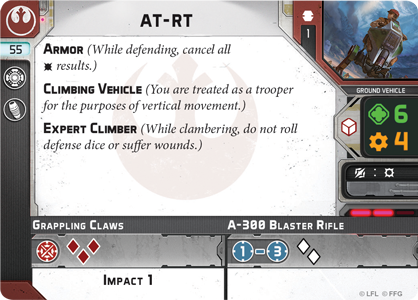 It only has 3 dice, but one of them is red and combined with the surge ability, this means the AT-RT is virtually guaranteed to get some damage in. And with it’s Impact 3 keyword, it can be a great tool when used against enemy targets with the Armor keyword. The downsides are that this weapon can’t be used at Range 1, and that it is the most expensive, at 35 points, nearly the cost of an entire rebel trooper unit. Is it worth sacrificing nearly an entire unit’s worth of troops and firepower just for an alternate weapon that you can’t use up close? The Flamethrower has the opposite problem that the Laser Cannon has. It ONLY works up close. It makes up for this weakness by costing only 25 points, which might be easier for some to pay for. Against larger formations of troopers, this weapon can potentially roll the most dice and deal the most damage out of all available options, if you can make it work. But if you end up not making it work, are those points wasted? 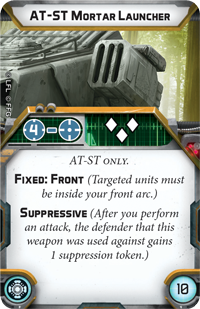 One thing to keep in mind, is that the AT-RT doesn’t have the ARSENAL keyword, like the Snowspeeder and AT-ST. 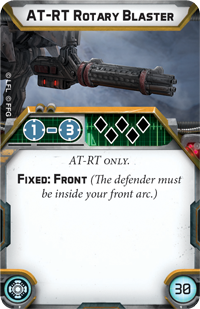 This means that the AT-RT isn’t sacrificing a free weapon being fired, by leaving the slot empty. 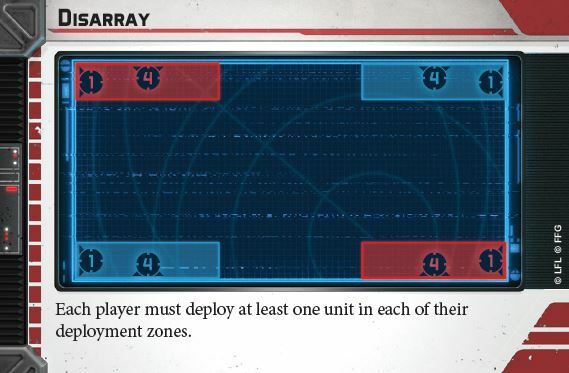 Those other vehicles are virtually required to take at least one hardpoint due to the opportunity cost of missing out on what is effectively a free attack. The AT-RT doesn’t miss out on this attack. It still can shoot at Range 3. It still has an offensive Surge, which means it still has a reasonable chance of being able to suppress enemies that are fairly far away. And it still can do serious damage to enemy units if it can close into melee range of them. Freeing up points also allows you more room in your squad for extra units – which could go towards another AT-RT. Having an extra unit can often be more advantageous than simply having an upgraded unit that has several options on which weapon to use. This is especially true when you consider the survivability and support that AT-RTs can provide your other units. Troopers behind an AT-RT will receive light cover. 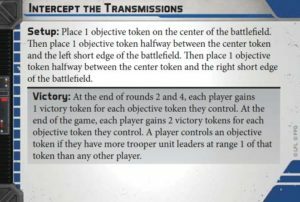 Having a front line of AT-RTs can help keep your troopers safe while you are advancing toward the enemy, or when storming an objective. And keeping them up front also allows them to have early opportunities to engage enemies with the three red dice from those terrible Grappling Claws! I like the idea of being able to run Naked AT-RTs so much I made a video list about it. Check it out if you’d like to learn more! So you just picked up Legion and you are trying to figure out what to do next? 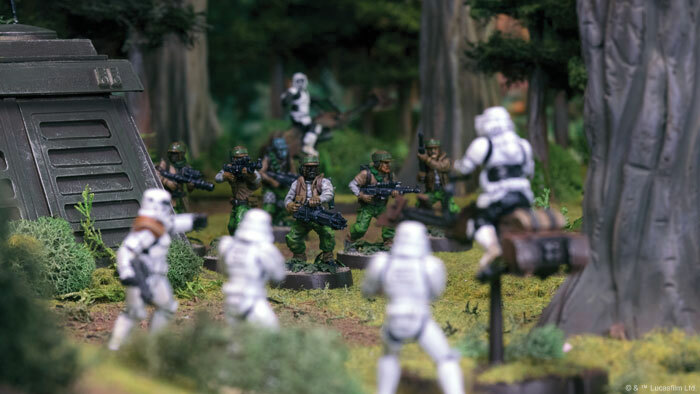 This guide should help you get started putting your first squad together to wage war against the rebel scum or the evil galactic empire! 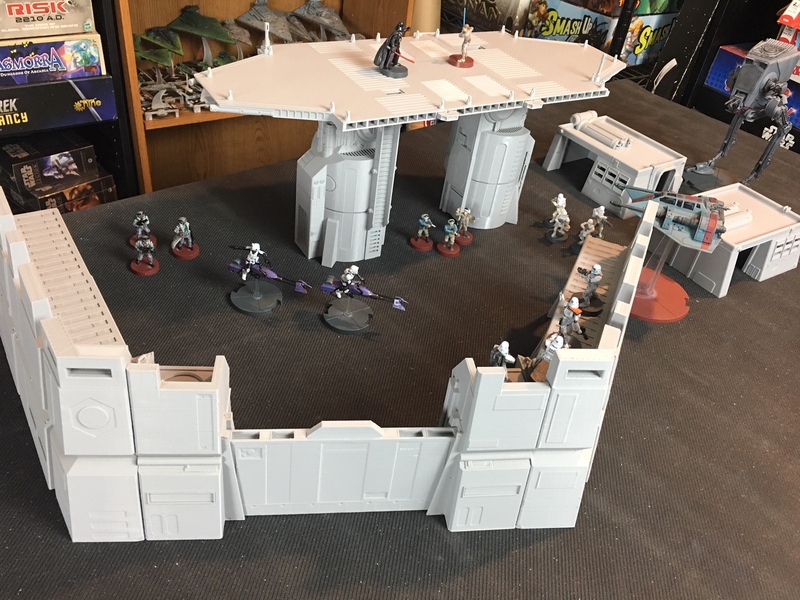 A standard game is 800 points, so you are going to need more than just a core set. For most people interested in full 800 point games, that’s going to mean buying multiple core sets, and possibly a few expansions as well. For now, I’m going to assume that you’ve either bought 2 core sets or split two with a friend, and have at least one other expansion to round out your army. Selecting a commander is going to be an important part of your overall strategy. For now however, since each faction only has one readily available, you are going to be stuck with either Darth Vader, or Luke Skywalker. 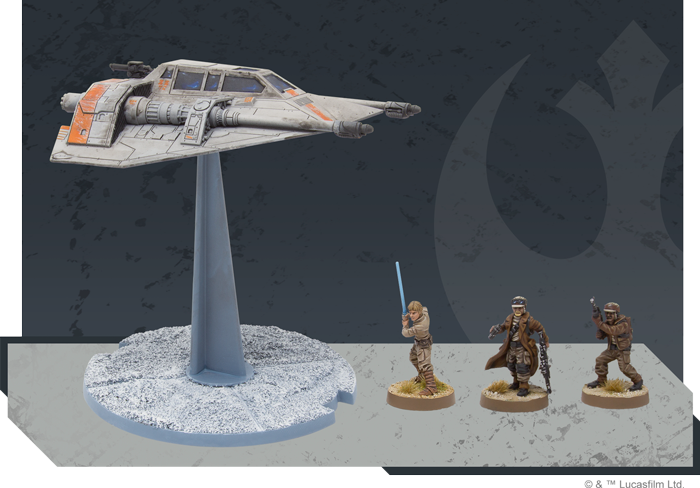 However, General Veers and Leia Organa are on the horizon, and will soon offer new, cheaper options. You can have up to 2 commanders, so we may see dual commander lists fairly soon. 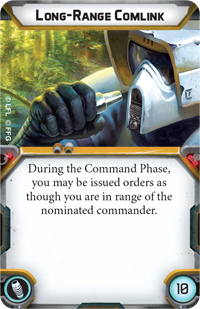 Command cards go hand in hand with choosing a commander. You must have 7, and must include a Standing Orders card. You must also have two of each “pip” cards, so two 1-pips, two 2-pips, and two 3-pips. Additionally you cannot duplicate any command cards, so you can’t include two Ambush cards for example. This means at launch, you won’t even have any choices here, since Luke and Vader offer you exactly enough to get you up to that minimum requirement. Once the next wave of commanders comes out however, you’ll have some choices to make. 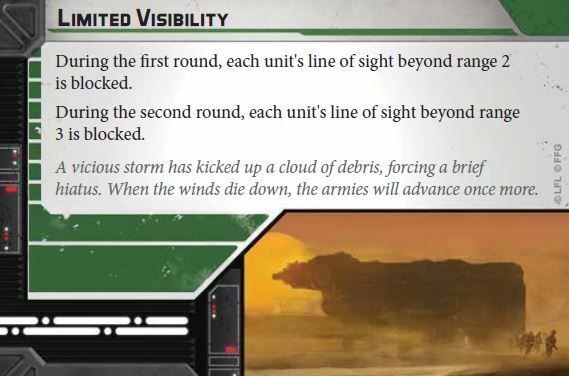 It is worth noting however, that you won’t be able to use Leia’s command cards, if she isn’t in your army. The same holds true for any character specific command card. You need a minimum of 3 Corps units, and a maximum of 6. So at least 3 rebel troopers, or 3 stormtroopers. If have more than 6 you won’t be able to use them all in a standard game. 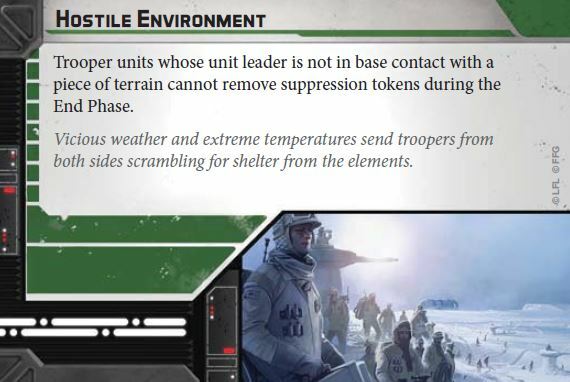 Once we have fleet troopers and snowtroopers, players will have more diversity in their corps options. For now, there are multiple ways to outfit your existing corps troopers and make them cheap, diverse, strong, or tough. The corps troopers are crucial to winning the game. If your commander is the head of your army, the corps is the backbone. This game is not just about killing the enemy. It is about accomplishing the mission and completing objectives. 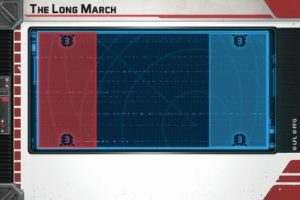 Most of the mission cards favor builds that have the most unit leaders – and the troopers you’ll get at launch are the cheapest way to get unit leaders. You may want to maximize their numbers by running very few upgrades. You may also want to help ensure their survival by adding extra miniatures to their ranks. 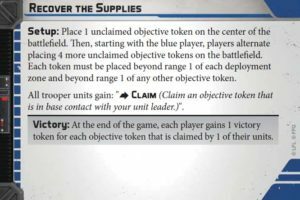 Try to outfit your initial corps units in various different ways for the first few games to get a feel for what works best for you. You may want to swarm troopers with no upgrades. You may want to give them all extra weapons to split up their fire. You may want to run every one of them completely different! 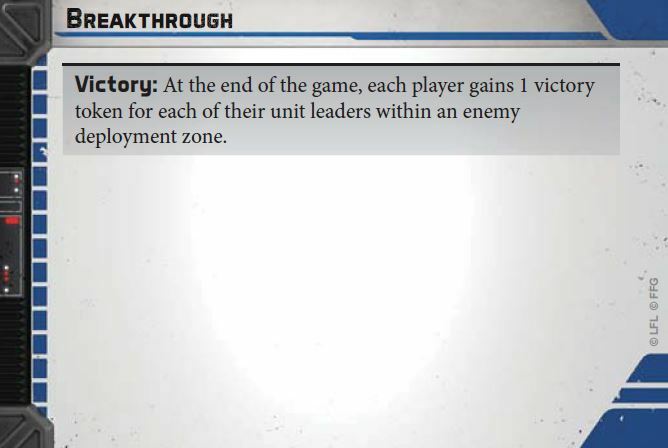 It is important to get a good feeling for the corps units because they more than likely will be the difference makers in the games that you win. We haven’t seen any Special Forces units announced yet, so for now, that just leaves Support and Heavy. These are the larger units that are going to give your army a battlefield presence to really help it stand out! These are the units that may tend to be more focused on one particular play-style, and may even require you to build your list around them. Vehicles in this game are going to be extremely fun, because they represent one thing that wasn’t really well done in FFG’s last ground game, Imperial Assault. Vehicles here are absolutely gorgeous and having a few of them on your battlefield can really help make your game come alive. Vehicles tend to be more expensive than troopers, so it’s generally a good idea to have fewer of them, in order to facilitate a more balanced list. Running two fully loaded AT-STs might look cool, but would leave you with very few points for the rest of your list. Generally, newer players may want to limit their first builds to only one heavy, and at most two supports. You’ll want enough points to allow you some hardpoints and other upgrades, especially on those vehicles with the ARSENAL keyword, which allows your attacks to use additional weapons. If you want some additional help, here are some videos to walk you through the process. 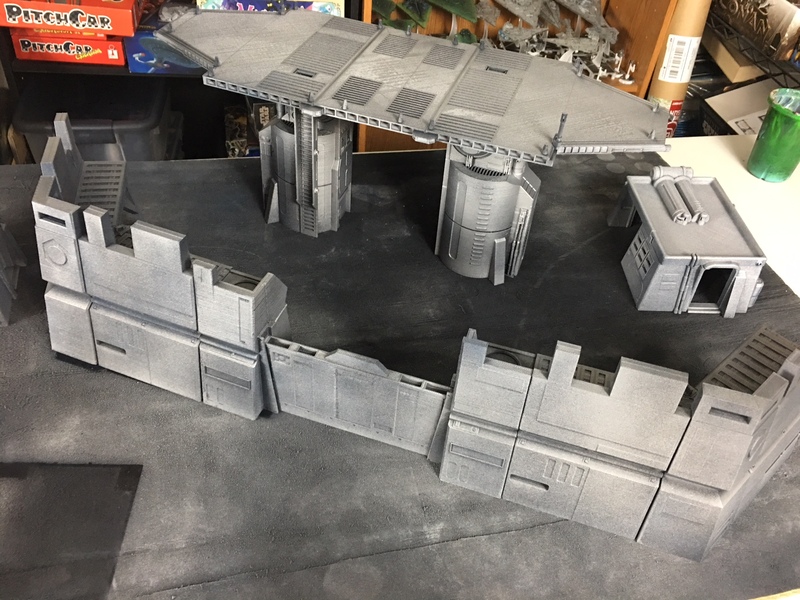 Legion Vehicle Scale – New Images! First off, here’s a video if you don’t want to read! 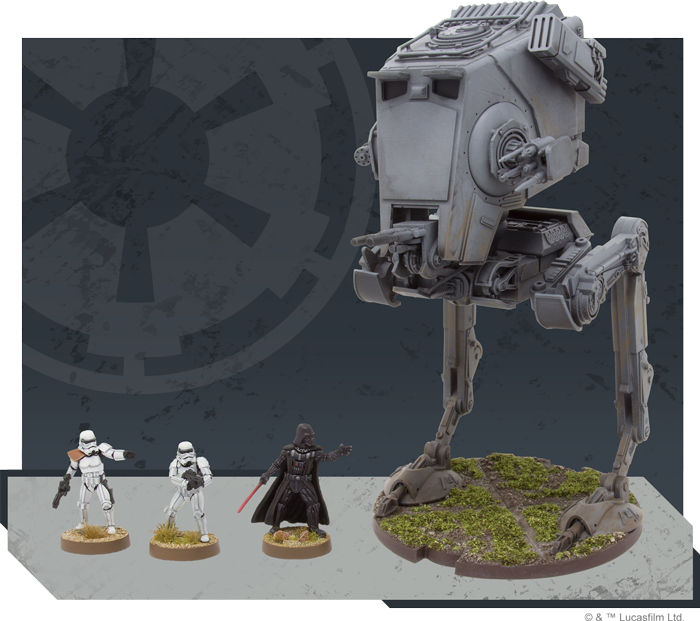 FFG released new images today showing us some relative scale of the AT-ST and Snowspeeder in relation to some infantry miniatures. This is most likely aimed at the recent criticism for the initial articles having only solo images of each vehicle, making it difficult for us to see the pictures. 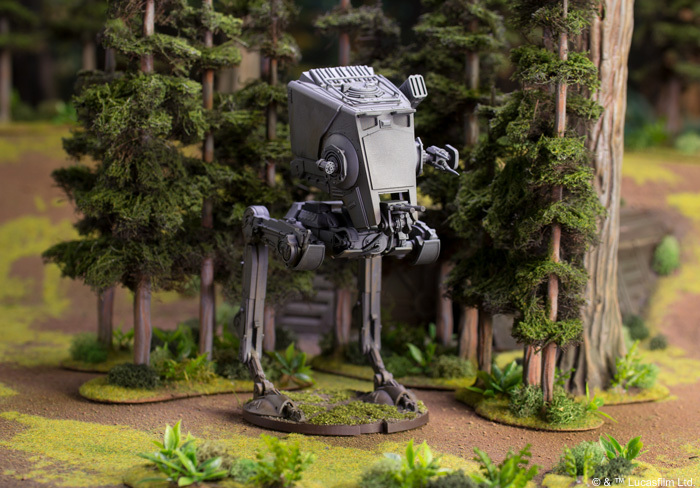 The AT-ST looks great next to those trees, but it would have been great to see it next to some troopers! The Snowspeeder just looks really small right here. There’s really not much for reference. This lead to alot of debate on various different message boards and social media about the scale of these vehicles and if they are worth the price tag. Many pointed out that the snowspeeder isn’t that large to begin with, which is true if you are comparing it to an X-Wing or similar starfighter. However we still needed to see. 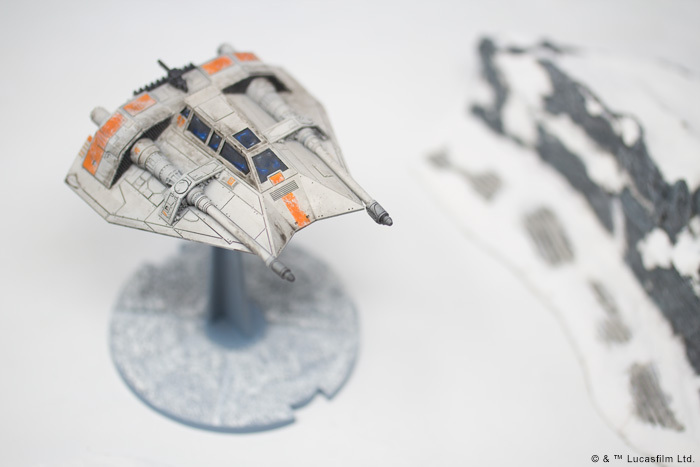 This week, FFG released these two images. At first it seems like these images set the record straight by giving us some reference and perspective. However, if you look closely you’ll see that the angles of the bases are different. This lead people to say that the image was faked or photoshopped. Realistically, I’m sure the image was photoshopped. 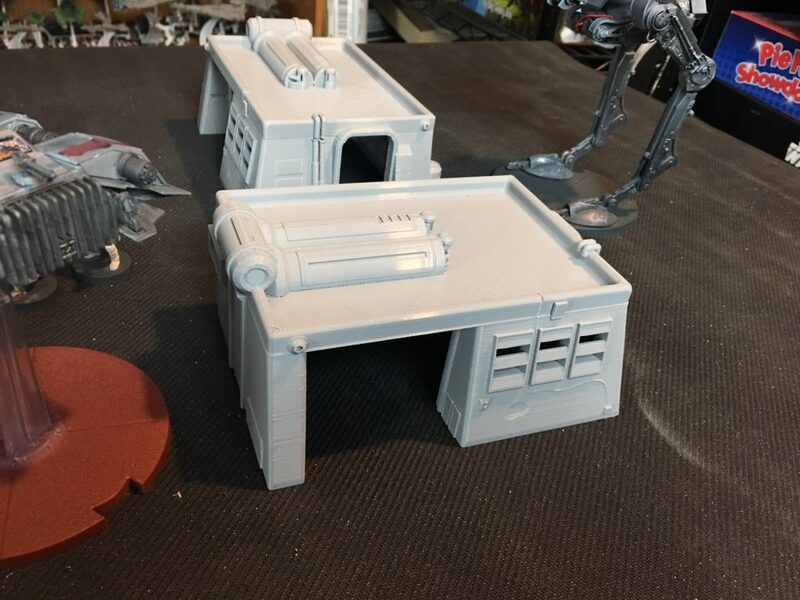 They don’t have production models in-hand yet, so they have to base it off of the proposed sizes and dimensions. That doesn’t mean that this image is false though, in that it most likely does reflect the actual size of these vehicles. I remain hopeful that they will be large and impressive! Can’t wait for them to show up!